The Supreme Court on Friday refused to grant an interim stay on the operation of electoral bonds scheme and asked an NGO to file an appropriate application for it. A bench headed by Chief Justice Ranjan Gogoi said the issue requires detailed hearing and, therefore, it will be taken up on April 10. 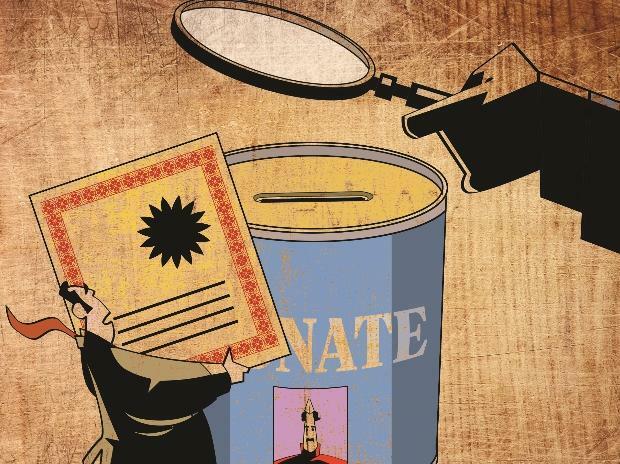 Advocate Prashant Bhushan, appearing for NGO Association of Democratic Reforms (ADR), alleged that thousands of crore are anonymously being given to political parties. He alleged that 95 percent of electoral bonds are being given to one party that is the ruling party. Attorney General KK Venugopal, appearing for the Centre, said electoral bonds scheme was brought to check the flow of black money into political funding. He said Bhushan was giving an election speech that 95 percent of the electoral bonds have gone to ruling party. The bench in lighter vein said, "it's election time. We will hear on April 10". ADR' application seeks stay on the Electoral Bond Scheme, 2018, which was notified by the Centre in January last year. The BJP-led NDA government had announced electoral bonds in the earlier budget, claiming that the scheme would clean up political funding.